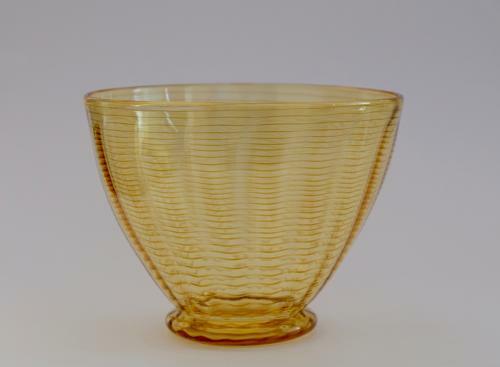 Dark amber threaded footed bowl designed by William Butler pattern no. 7170 C1930's made by James Powell & Sons Whitefriars London. For a similar example see Whitefriars Glass 'The Art of James Powell & Sons' Edited by Lesley Jackson 1996. p.121, plate 102 (v).